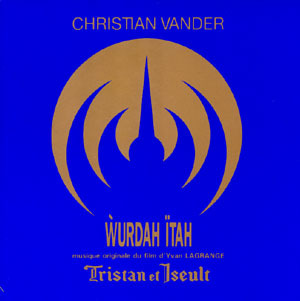 This is the second release in the catalogue of AltrOck Records after the excellent Yugen's Labirinto D'acqua album released in 2006. It seems the label is hunting for those left-field bands/musicians, and with these two they have done a very good job. Both have an independent sound (sure it has influences, but I don't think they're copy- cat bands in anyway) and much talent. 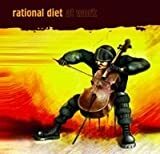 Rational Diet is a Belarus sextet (in this album) along with five guest musiciams playing music incorporating and influenced by modern classic composers and avant-rock. 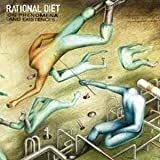 The press note that came with the promotional CD says that: "Rational Diet proposes an unusual mix of styles and sounds: Chamber music, rock, theatre and improvisation, supported by the amazingly instrumental abilities of their components. It's difficult to define the mood of such music, which goes from dark atmosphere to grotesque, powerful or oniric, sometimes even humoristic." They state their influences to be: "Shostakovich, Stravinsky, Webern, Ives, King Crimson, Henry Cow, Art Bears, Univers Zero, Present, Debile Menthol". While I don't necessarily hear all those in the music, I can hear some of them (Henry Cow, Univers Zero, Art Zoyd and Stravinsky) and the overall interchanging sound of Rational Diet certainly fits the "musical module" that these musicians and composers create. To give you an idea of the musical palate of the band, the instrumentation consists of rock/modern instruments alongside classic instruments; guitar, bass, keyboards, drums, tenor sax, accordion, violin, cello and bassoon. This review was hard for me to write as the music is not easy to define and I fear I may have done a disservice with my lame attempt at a review and if you get any bad impression from this review, please attribute it to me and not the music or the band. I won't go over all the tracks, but I'll give some thoughts and descriptions of some of them. If you wish you can skip to the end of the review where I wrote a general summary about the album. Starting with a disjointed duo of bassoon and sax in the intro (fitting an Henry Cow album) the music flows then to Part 1 with the keyboards, guitar and drums playing a repetitive dynamic and dark passage. It is a track in which there is a roaming between a disjointed, nervous and restless rhythm to a more flowing one. 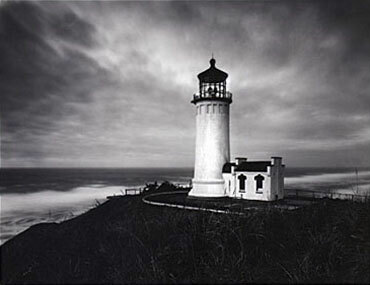 The music is somewhat dark and brooding with some keyboards that evoke a chapel organ sound. There are elements or traces if you will of UZ, Present (in the flowing parts) and Henry Cow (in the disjointed parts). They switch between parts in which the rock instrumentation dominates (but they are not playing exclusively, they are accompanied by the rest of the group) to parts in which the "modern rock" sound gives way for the classical part to come through. More of a Chamber music track with some quirky passages, going wild and noisy. The bassoon's sound evokes a classic feeling that clashes with the modern, weird and avant- garde patterns of the music and ultimately its role fits in well with the rest of the music.The violin here has a slightly "demented" sound, if you understand what I mean, going not really off-key, but slightly dis-harmonic (which fits the music). There are spoken vocals, which are said to be "texts by the Russian Avant-garde poets Daniil Charms and Alexei Kruchemykh" and they add to the general quirkiness of this particular piece. This track culminates with the violin playing ascending squeaky notes, as the accordion keeps with its constant supporting role with the rest of the instruments. In this seemingly chaotic affair, there's directionality to the music, and while some may be improvised it remains impressively under control. At some point, especially towards the end, there are so many things going on simultaneously and it becomes very demanding to keep track of everything. This is a case that demands repeated listening until you get the full picture of all the different instrumental lines and the structure of the music. This may sound like chaos, but it is controlled chaos, as everything blends in together very well, and this is a main attribute about this band I admire. They compose complex music, with many layers, if you will, and still everything is in place, "goes along well with the others" and fits in. The end result is fascinating to listen to, asking you to try and decipher the semi-hidden melodies (to "conventional ears"). It is also not disharmonic as this description may infer. With their music, there's no real discomfort to sensitive ears, only the requisition for opening your mind (and neurons) for this challenging and unconventional music. Their craftsmanship of making this type of music is to be commended. This is not senseless throwing away of unrelated notes, disjointed passages of music with no rhythm. There is thought, emotion and passion behind (actually it's in the forefront) of this music. This is probably the most melodic and flowing song in the album. The piano here gives a driving force that was not present in the other tracks. But that is not to say that the usual oddities are not here as well. It might be a good intro to the band's style as this is the most accessible piece. The music derives its influences from past avant-rock, RIO and chamber music bands (Henry Cow, Univers Zero et al.) and the composers that influenced those bands as well. The music alternates between certain moods, feelings and styles. At times weird and quirky and in others chaos seems to dominate the music (but as I said, it's only seemingly so). In other parts, you have a dark atmosphere ruling over the sound, and in other, it gets a bit more light-hearted and theatrical in parts. The overall feelings I get from the music are that it's complex, dense unconventional and eerie, which I like very much. The musicians here do not try to show how much they know how to play their instruments (and they probably know it well) but to show how their instruments can be at the service of music, how they can create sounds and melodies (yes, melodies!) that are different and unconventional but appealing nonetheless. Compared to AltrOck previous album by Italian band Yugen, this is even more daring. The music is less melodic, weirder, more abstract and free-form. This is not an album you will listen to each day, but when you do, your full and undivided attention needs to be given to it, otherwise a great proportion of the many details in it get lost and you miss the strange and eerie atmosphere this release has. This will not appeal to people looking for nice and friendly harmonies, melodies (except from the last track), and accessible music. If you like any of the influences the band states of having, then you should look into it. This is for those who want to experiment, experience and be challenged. I enjoyed the challenge and I will take it again. 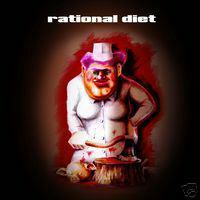 Post a review of RATIONAL DIET "Rational Diet"